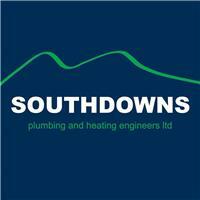 Southdowns Plumbing and Heating Engineers Ltd - Central Heating Engineer, Plumber based in Bognor Regis, West Sussex. We formed our company two years ago, having both worked in plumbing and heating locally for many years. We have over 48 years' experience between us. We offer quality workmanship and installations at very competitive prices, we pride ourselves on our standard of workmanship and want all of our customers to be extremely satisfied. Please contact us for a quotation, we will give you professional advice and help you complete your project, whether it be a dripping tap or a full house plumbing and heating installation. Our services include -Boiler changes.Full heating systems.Under floor heating -Polypipe registered installers.Bathroom installations.Servicing.Landlords certificates. Hot water cylinders. Plumbing and heating of large and small building works, new builds and extensions.All types of plumbing and heating repairs.